So, dear Reader, this is a rather special post – Primrose and I got to meet one of our heroines of the bedtime story world this week and were rendered utterly starstruck. For as long as Primrose has been able to hold a pencil, she has been desperate to write her own stories. Amongst a mix of Enid Blyton, Frog and Toad and all the old fairy tales including an ancient Ladybird book of mine of The Goose Girl, Primrose’s love of quirky characters and twists on traditional tales has definitely been inspired by the author and illustrator, Lauren Child. So imagine when I told Primrose that we were going to meet her “IN REAL LIFE”, to coin a Primrose phrase. The National Trust’s Mottisfont in Hampshire are hosting a retrospective of Lauren’s work – The Art of Lauren Child: Adventures with Charlie and Lola and Friends running from 18 July – 6 September to mark the 15 year anniversary of the first Charlie and Lola book to be published, I Will Not Ever Never Eat a Tomato. 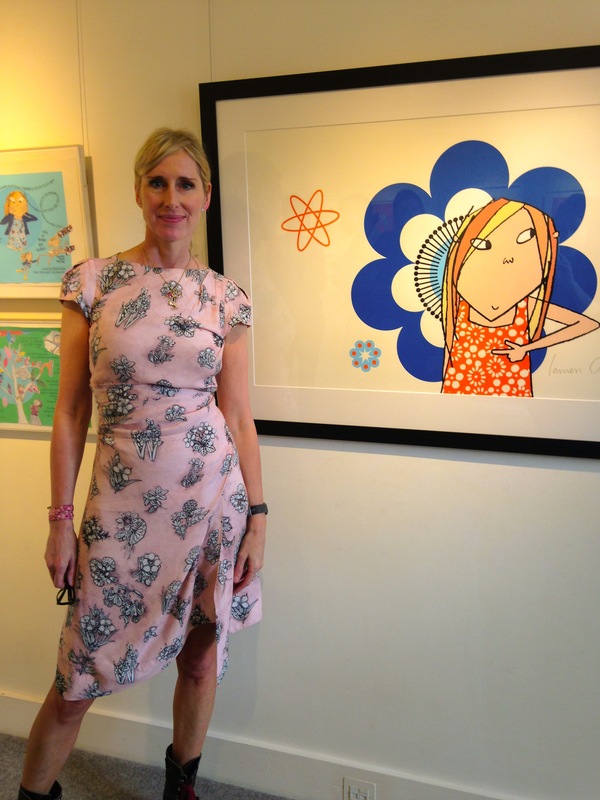 Author and illustrator, Lauren Child MBE, has such an amazing back catalogue of children’s books which has been loved and devoured across the world and is probably best known for her delightful brother and sister creation, doting brother Charlie and his picklish little sister (small and very funny), Lola. Lauren seems to have that uncanny knack for being able to slip into the shoes of children we’ve met, grown up with or perhaps even given birth to. Perhaps it’s her talent for telling it like it is from a child’s perspective that has seen her works adored by children and adults alike. With a selection of never before seen items including some of Lauren’s sketchbooks, the exhibition hosts 50 original art works from Lauren’s own personal collection and gives a wonderful insight into the process from sketchbook to published work. 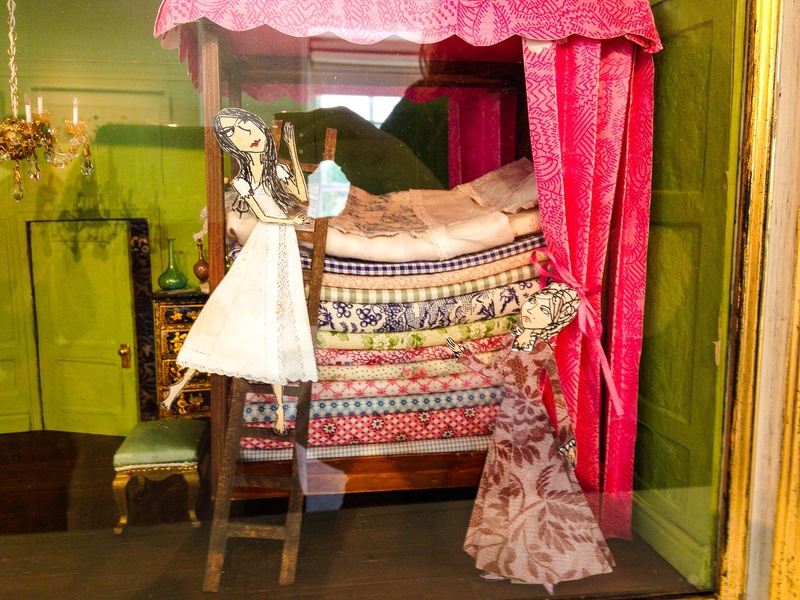 This is a chance to get up close and personal with some of the objects that have served to inspire Lauren’s fabulous and well known stories, such as Lola’s pink milk glass, childhood pyjamas and the truly amazing and wonderfully detailed original sets which were created for Lauren’s retelling of The Princess and the Pea on which she collaborated with Polly Borland. The exhibition also offers a chance for Charlie and Lola fans to catch a sneak preview of illustrations from Lauren’s latest book, entitled One Thing, to celebrate the 15th anniversary of Charlie and Lola, which will be published this autumn. 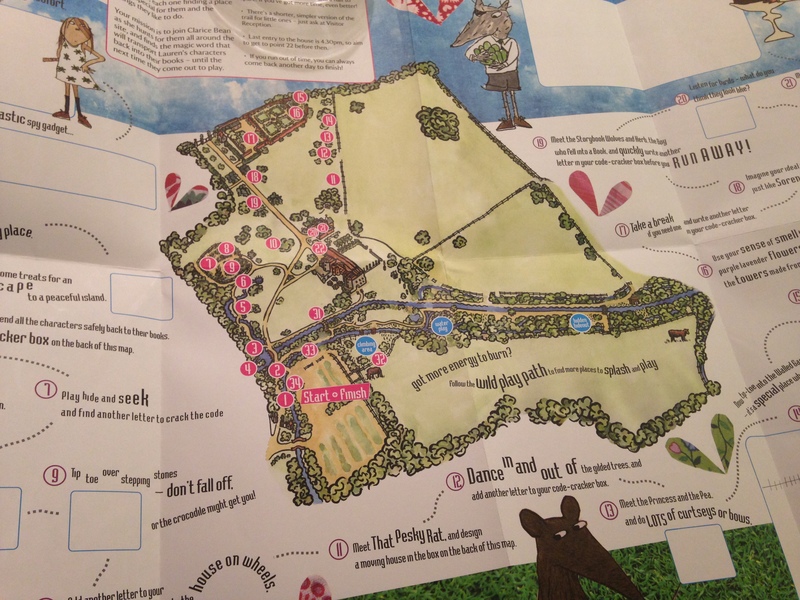 Alongside the exhibition, Lauren has helped the team at Mottisfont to create a fantastic creative play trail around the house and grounds – perfect for all ages and a chance to go on a real adventure with Charlie and Lola and their friends. A great day out for the summer hols! For details of the exhibition and adventure trail, take a look here. Meeting the lady herself, Primrose got to ask all her questions. What inspired you to write Charlie and Lola? How do you create the stories and illustrations? 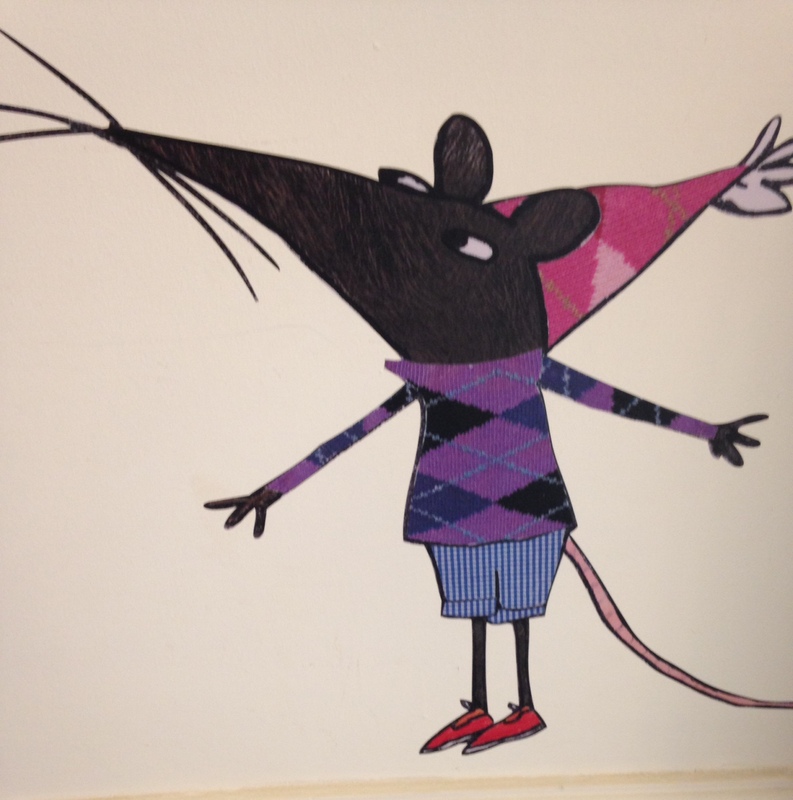 We had a fab chat about Lola’s invisible friend Soren Lorensen, Lauren’s favourite character Clarice Bean and creating alter egos that you’d like to be and our huge amount of love for That Pesky Rat. Perhaps the best bit of all was Primrose showing Lauren her own story which she had written and illustrated – A Bad Spell for the Little Fairy. I shall be eternally grateful to Lauren for making Primrose’s YEAR and for taking the time to talk to her and read her story. I honestly couldn’t think of a better literary role model and source of creative inspiration for my little writer – a memory that will be treasured forever. 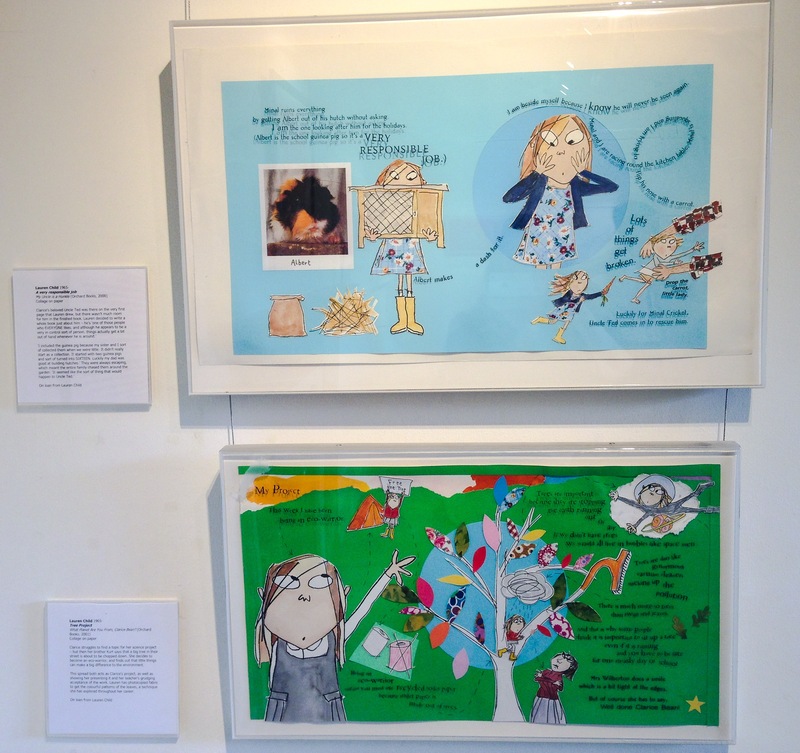 This exhibition is a MUST SEE for anyone who has cherished and enjoyed reading Lauren Child’s books and there’s something for all the family to enjoy as well as going on your own adventures with Charlie and Lola and Friends at Mottisfont during the summer holidays. So on that note, dear Reader, to mark the opening of The Art of Lauren Child: Adventures with Charlie and Lola and Friends at the National Trust’s Mottisfont this summer, the lovely people at National Trust London and South East have given me 5 FAMILY DAY PASSES to give away to lucky entrants. All you have to do is to ‘like’ @MottisfontNT on Twitter (or their Facebook page if you’re not on Twitter) and then write a comment here on this post, telling me which Lauren Child book is your favourite and why. Entries will close at 5pm on THURSDAY 23RD JULY. The National Trust LSE lot will help pick the winning answers so don’t forget to leave me an email address or Twitter handle in the comment box too so that I can contact you if you’ve won. This entry was posted in Margot's Country Snippets, Out and About, Uncategorized and tagged 15th anniversary of Charlie and Lola, art, author, Charlie and Lola, children's books, Clarice Bean, collage, creative play trail, exhibition, give away, Hampshire, I Will Not Ever Never Eat a Tomato, illustrator, Lauren Child, Lola's pink milk, Mottisfont, National Trust, National Trust London and South East, One Thing, photo, Polly Borland, sets, sketchbooks, summer holidays, That Pesky Rat, The Art of Lauren Child: Adventures with Charlie and Lola and Friends, The Princess and the Pea on July 18, 2015 by admin.